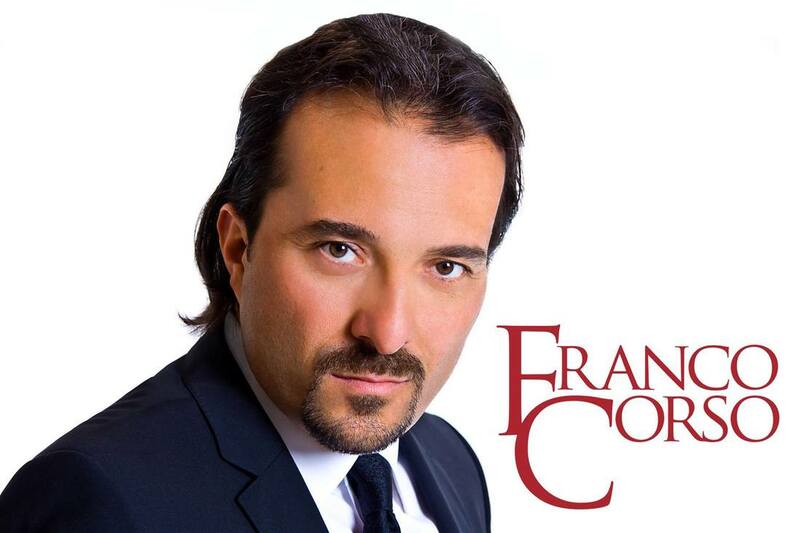 Franco Corso is the newest classic crossover artist on the International scene. Appropriately dubbed ‘The Voice of Romance’, his voice runs from baritone to tenor with magical quality that seems to hypnotize and mesmerize. His hometown Ventimiglia sits along the shores of the sun-kissed Italian Riviera, bordering the south of France and Monte-Carlo. 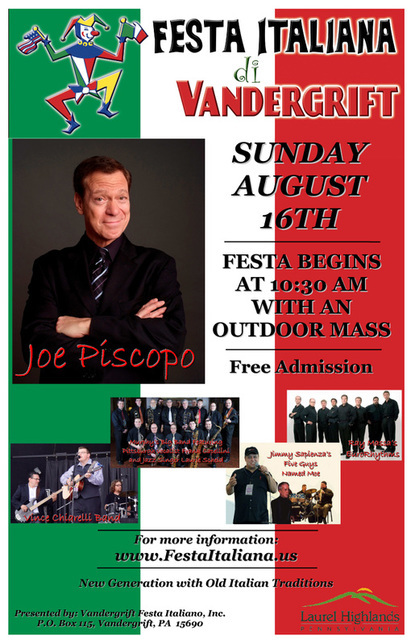 What started in his native church in Italy has since taken him across the United States where he has appeared on countless stages and sold out theaters and now on our Festa stage ! ! ! 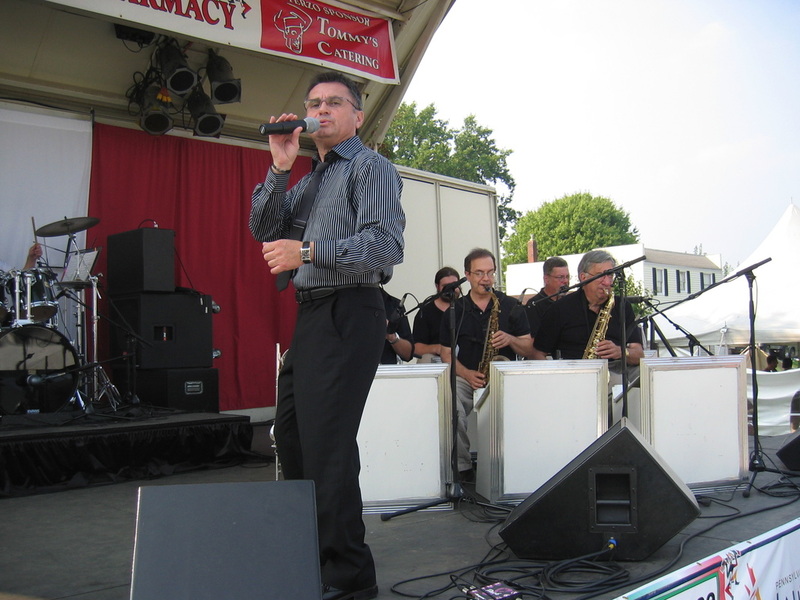 The Festa's house band, the fabulous Murphy’s Music Center Big Band will perform at this year’s Festa with John Noble. 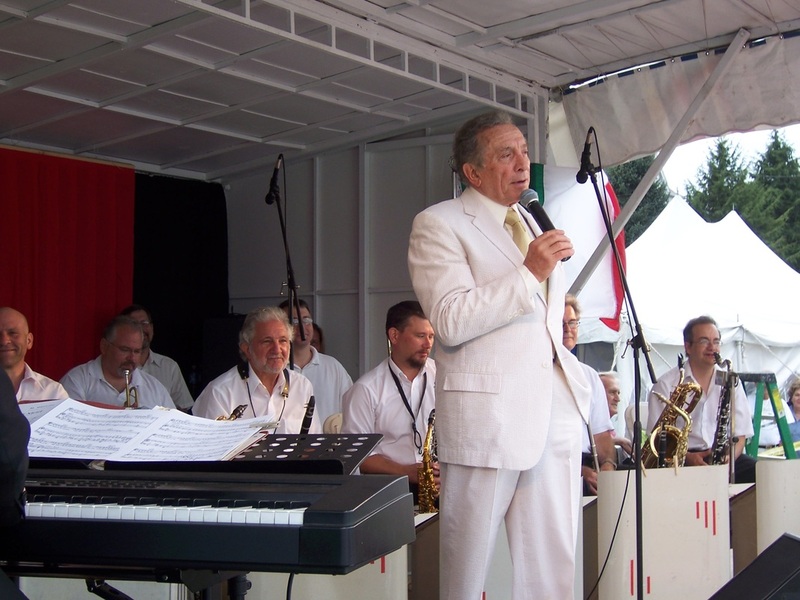 A first class big band in their own right, the Murphy’s Big Band has also backed Al Martino, Julius LaRosa, Joe Piscopo, and many of the other headliners at our Festa over the years. 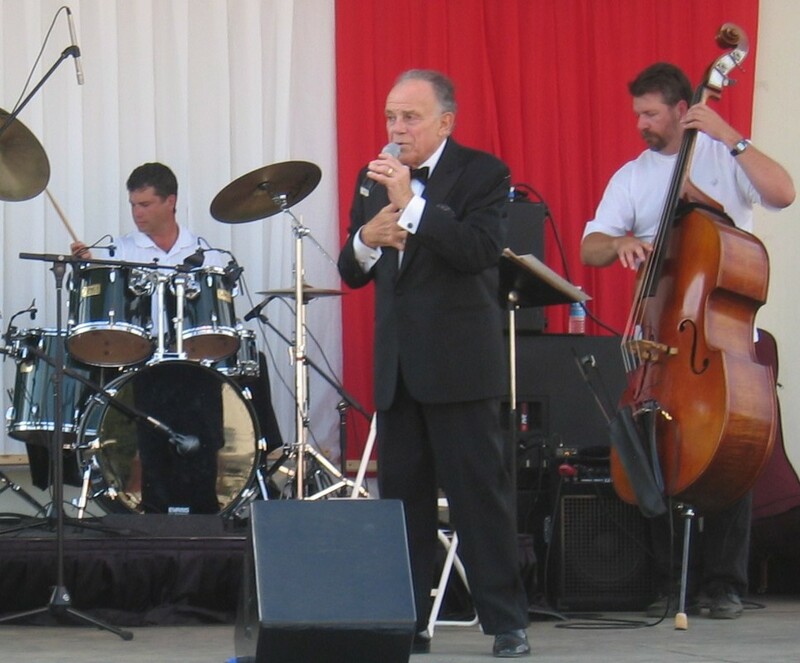 We cannot understate the contributions Jim Caporali and the Murphy’s Big Band have made in making the Festa such a success over the years--to them we raise our glass and say Salute ! ! ! Visit www.murphysbigband.com and www.murphysmusic.com for more information. Stop by Murphy’s Music Center in Leechburg for all your music needs. 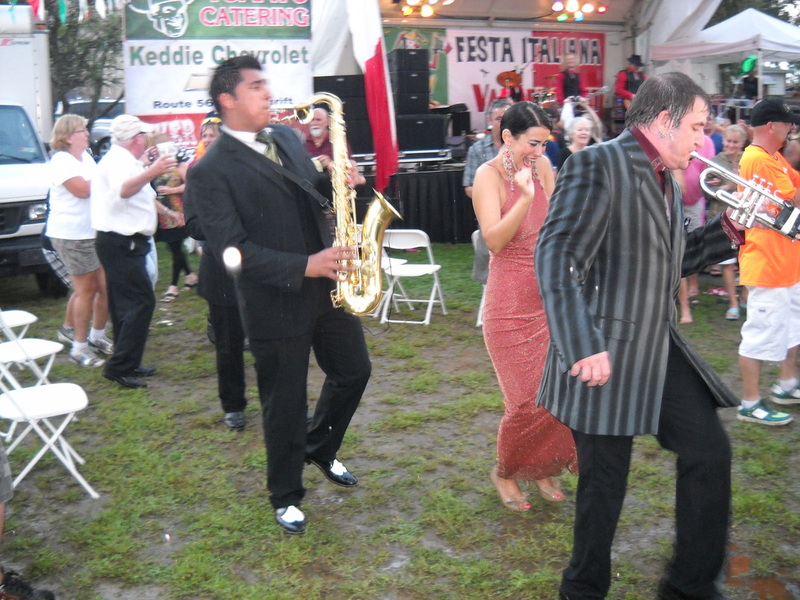 The Flying Elvis Musical Circus closes the Festa this year ! ! ! 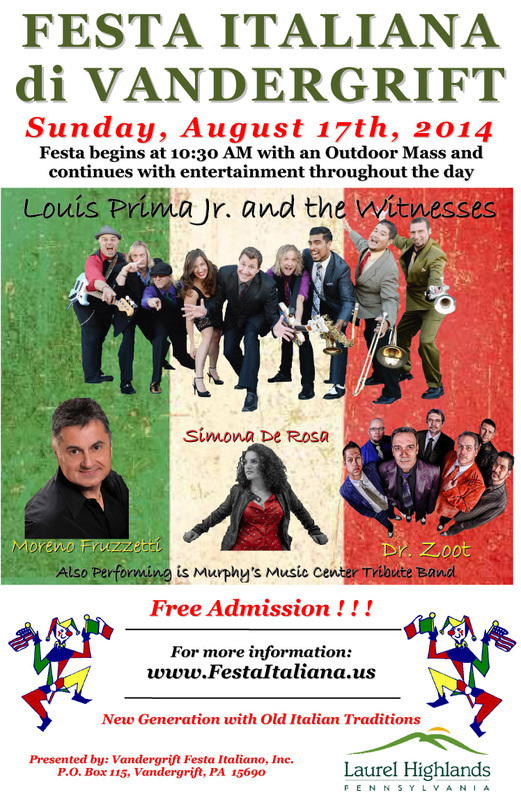 Additional entertainers have been booked for the Festa ! ! ! 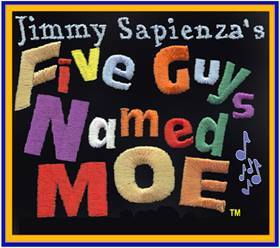 Jimmy Sapienza and his crew are back ! ! ! Sisters Sofia-Teresa (13 yrs. old), Lucia (8 yrs. old), and Valentina (5 yrs. 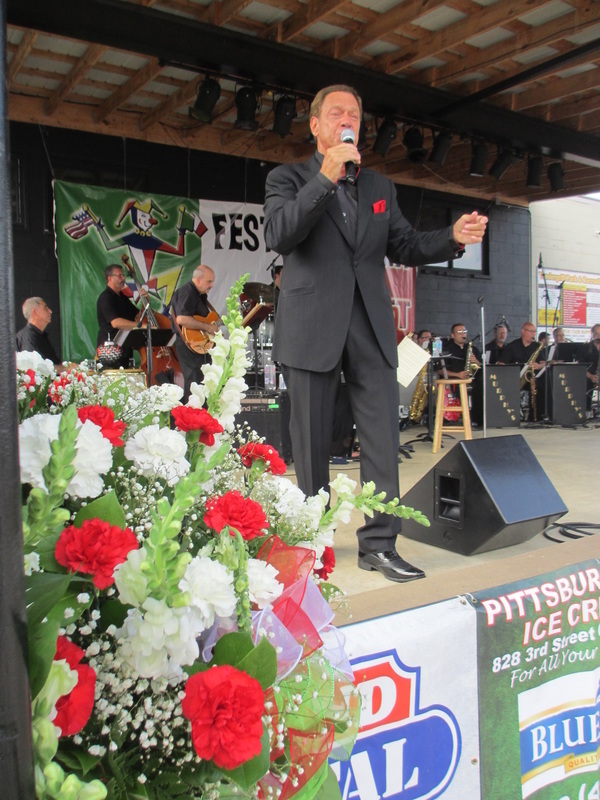 old) are Weirton, WV natives and remarkable young ladies who speak Italian fluently, as it was their first language spoken to them since birth by their parents Domenico and Gina Di Bacco and grandmother Teresa DiBacco, with whom they reside. 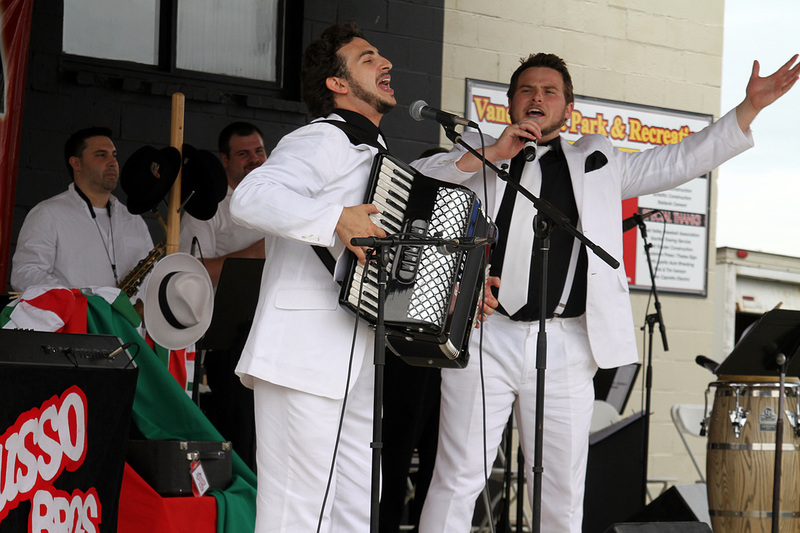 They have always loved and embraced their Italian heritage, taking part in the many songs, dances and customs around which they are raised. 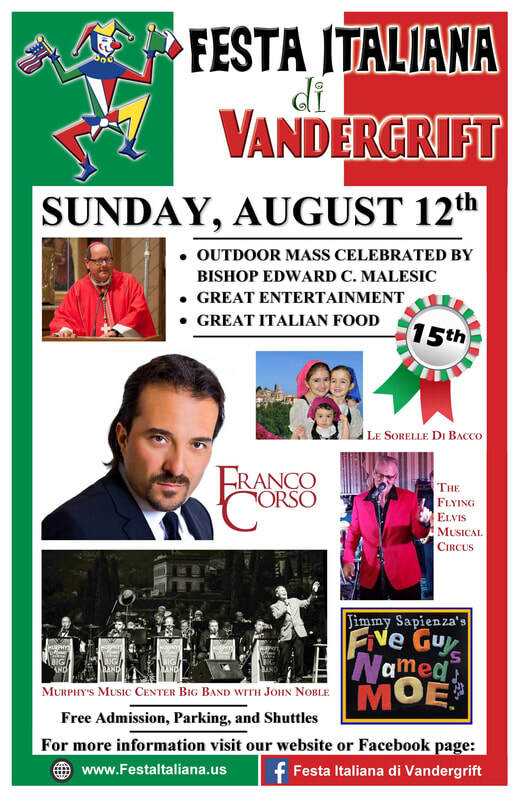 Sofia-Teresa, Lucia, and Valentina have demonstrated great pride for their Italian culture since the age of two by singing and dancing on many church and festival stages, as well as in many musical productions, in both the tri-state area and Italy. What they enjoy most is playing together and spending quality time with their family, grandparents, and cousins.The highlight of their excitement was undoubtedly their summer visits and tours through Italy in 2010 and 2014 with their family and many cousins. Sofia-Teresa, Lucia, and Valentinaare dedicated students of the Pittsburgh CLO Academy, piano, dance, and swimming. They attend St. Joseph the Worker Grade School in Weirton, where they are in seventh grade, second grade and pre-school. Le Sorelle Di Bacco will charm and energize you with their love and passion for their Italian heritage!